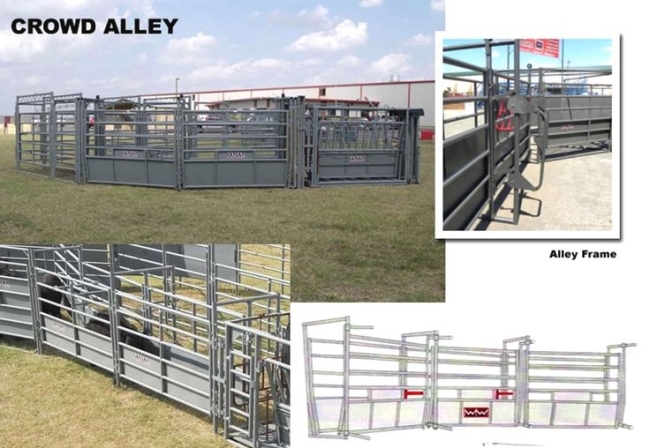 The easy flow cattle alley is designed to prevent cattle from turning around, and is fully adjustable to accommodate animals of any size. 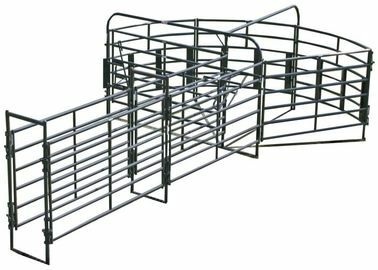 The tub has 3 curved sections 10' long, 5' 4" tall made of 14-gauge 1-1/2" square tubing with 6 bars. The crowd gate is 10' long. 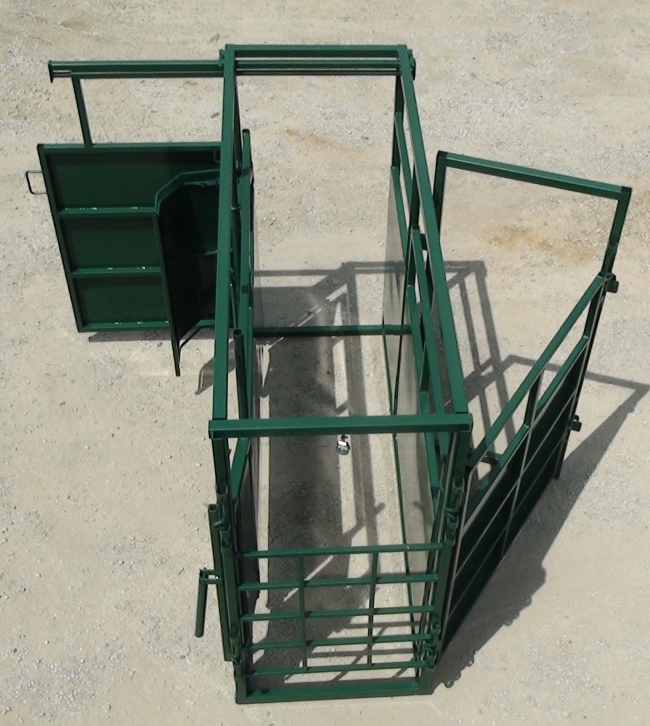 This cattle tub and alley features cleats and rubber tire latch to safely crowd cattle. Each section of the straight alley is 10' long and made of 1-1/2" square tubing, 14-gauge with 6 bars. The alley is 28" wide inside and is non-adjustable. Arches are made of 1-1/2" schedule 40 pipe. 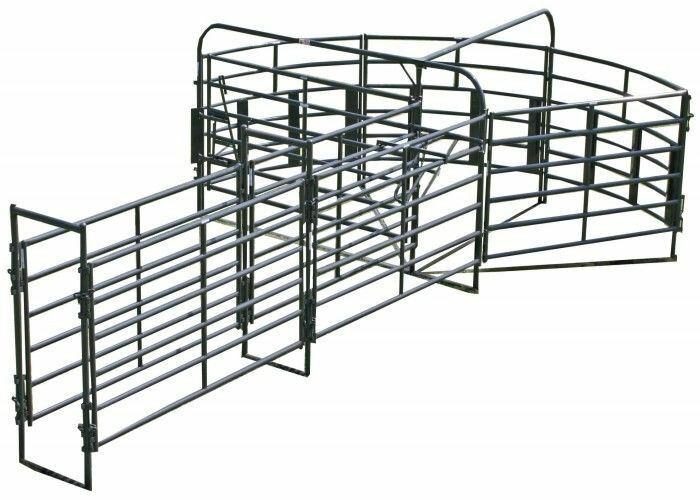 JINGHUA believes that you will not find cattle handling equipment on the market that can beat the quality, workmanship, or durability. 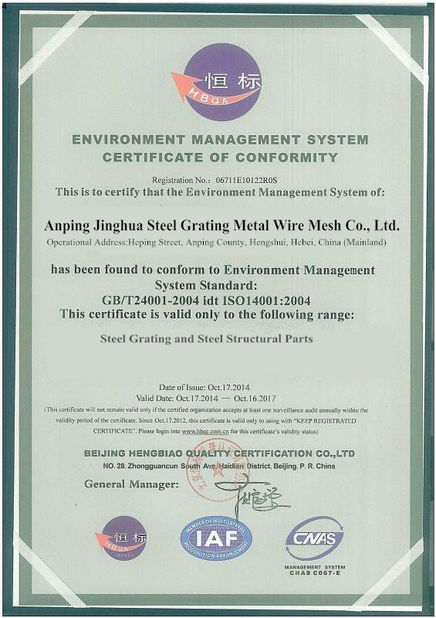 wire mesh panel welded and corner wire cutting; pipe cut,flattend and wave; pipe frame welding;frame and mesh panel welding together; welded spots polishing, silver painting. 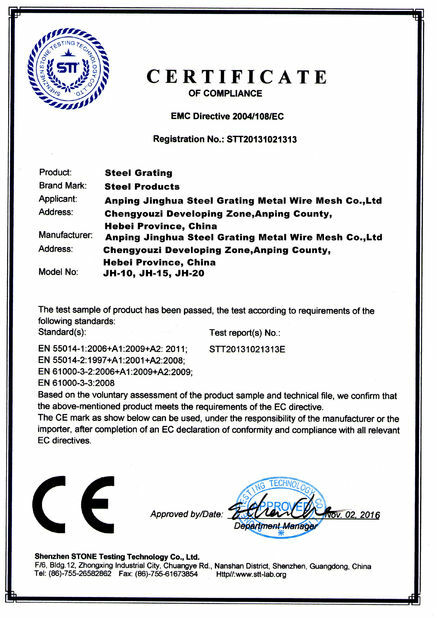 4) Robot welding & Hot dipped galvanization give the cattle alley anti-rust performence & longlife.